Dedicated November 17, 1946. 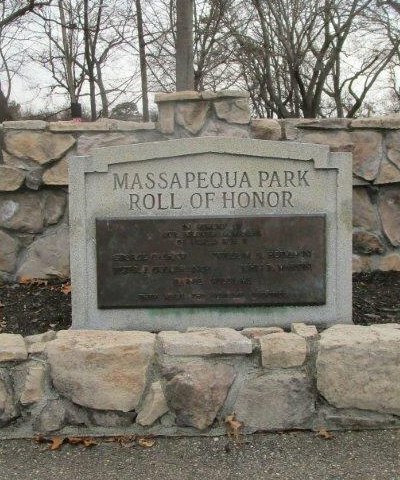 This memorial, now located in Brady Park, is in memory of five residents who made the supreme sacrifice in World War II. George Cashaw, Peter F. Colleran, Jr., William G. Hoffman, John R. Martin and Earle Williams all have Village Streets named in their honor. Dedicated July 4, 1959. 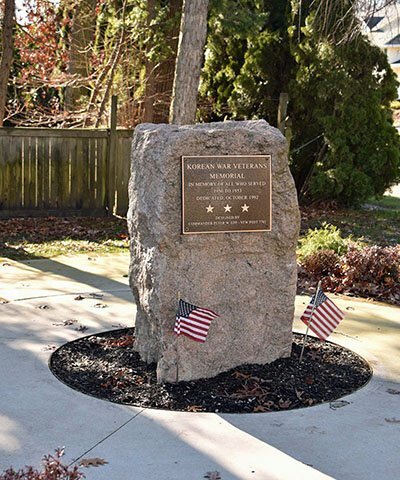 This memorial, located in the triangle formed by the intersection of Lakeshore Drive and Park Blvd., is dedicated to the memory of Claus Clausen, a veteran of the Spanish American War and holder of the Congressional Medal of Honor. Dedicated October 29, 1966. 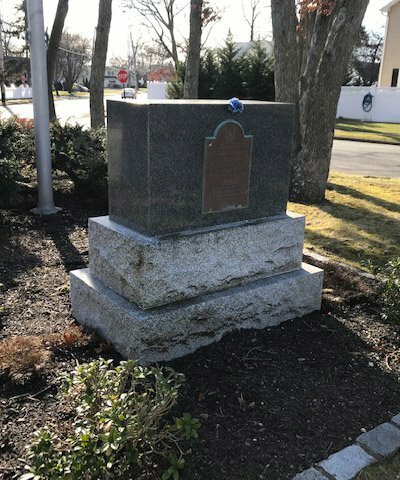 This memorial, located in the triangle formed by the intersection of Cartwright Blvd. and Abbey Street, is in memory of William Mansfield, “Who gave his life in Vietnam for the freedom of all the people of the world.” Mansfield Park, at Walker Street, also is named for this Vietnam War veteran. Dedicated October 24, 1992. 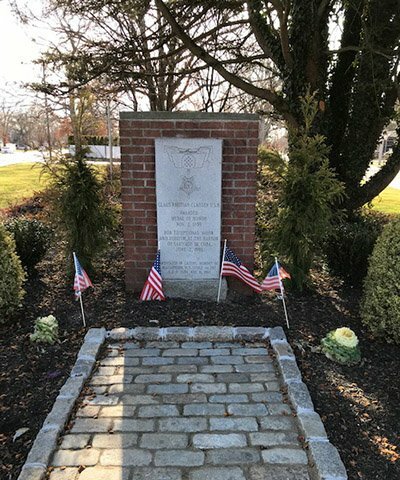 This memorial, located in the triangle formed by the intersection of Lakeshore Drive and Mayflower Ave., memorializes veterans of the Korean War. Dedicated October 7, 1989. This memorial, located in the triangle formed by the intersection of Clark Boulevard and Front Street, is in honor of all our founding families. 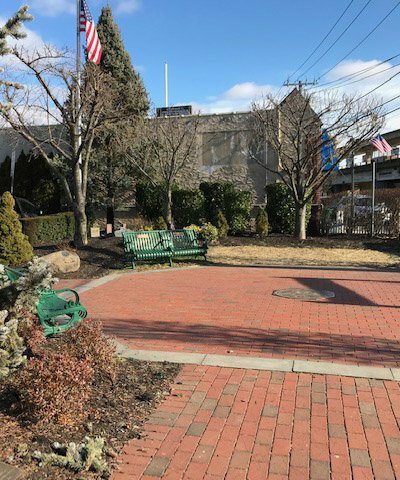 It is called the Heerlein-Rumfield Memorial Park and is named after Lillian Dessart Heerlein and Charlotte Heerlein Rumfield, daughter and grand-daughter of Louis and Clara Dessart. Woodcastle Hotel, built by Louis and Clara ca 1870, stood on Front Street, fronting wooded land between First and Second, Clark and Front. Dedicated in November, 2002. 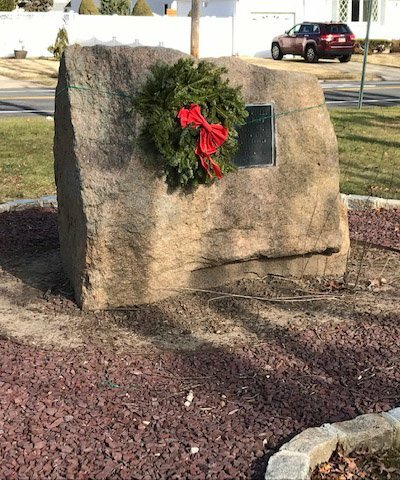 This memorial, located in the corner of Front Street and Park Boulevard has become the center of our Village. The park has engraved brick walkways ordered by our residents as well as dedicated trees and benches. The highlight of the Square is the living Christmas tree. The tree was dedicated to all the lives forever affected by September 11, 2001. Each November, residents gather to light the Square for the Christmas and Hanukkah season.